Here is the list, take it to the store, buy all the stuff you like. Now its in your frig. 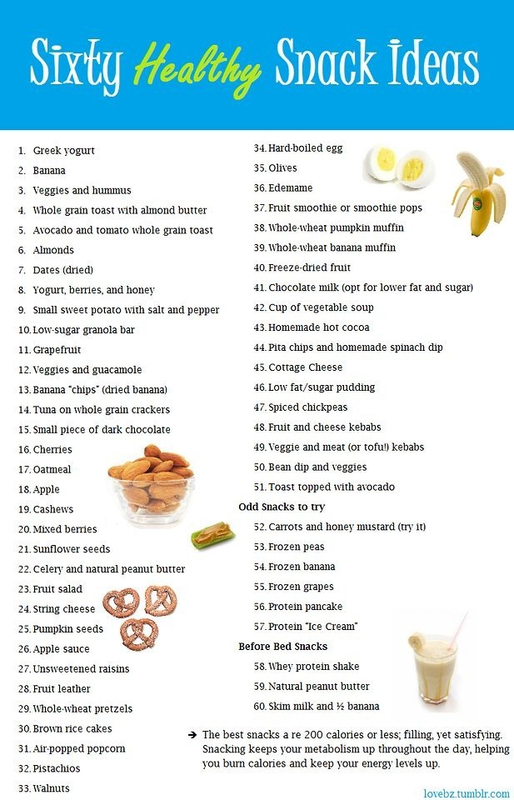 Keep list handy and when your wanting to snack, BAM its there. Bag up this stuff and take it to work for breakfast or lunch. Your gonna Thank me later. This list is from Skinny Ms.com. Her blog is really full of a lot of great fitness tips.